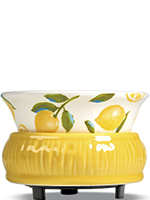 There is nothing sour about this sweet Lemon Simmer Pot. 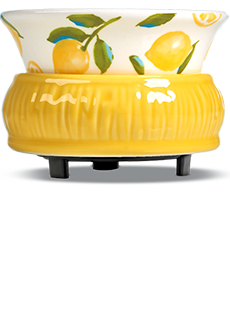 The darling dish is covered in lemons with accents of greenery, trimmed with a polka dot print interior, atop a bright yellow base. A perfect pairing would be the Lavender Lemon Cupcake recipe featuring Lemon Pound Cake and Relax-Lavender Vanilla Sprinkles. Measures 5.5” diam. x 4” h.